As final exams loom closer, many students may find themselves relying a little too heavily on coffee to get them by. But what is the relationship between the black midnight oil and biodiversity? There are two distinct coffee plants that produce the stuff that fills students’ mugs: coffee arabica and coffee robusta. Arabica plants provide fuel for the coffee connoisseur as its flavor is know for being smoother, richer and more nuanced than coffee robusta. The two plants require different growing conditions, too. Arabica does well in areas that are partly shaded by surrounding canopy while robusta grows better in cleared out areas with more sun. Researchers from the Wildlife Conservation Society, Princeton University and the University of Wisconsin-Madison sought to determine whether there was a difference in impacts on biodiversity between the two plants. They collected bird species biodiversity data from coffee plantations in Western Gnats, India between 2013 and 2015. Some of the plantations grew arabica coffee while others grew robusta. Those areas producing arabica had roughly 95 percent canopy tree cover, and those areas growing robusta had 80 percent canopy tree cover. Shockingly, however, this had little effect on bird biodiversity. The difference between the number of species each of the areas supported was not significant. “An encouraging result of the study is that coffee production in the Western Ghats, a global biodiversity hotspot, can be a win-win for birds and farmer,” said lead author Charlotte Chang to SIERRA magazine. The story is not the same on a global scale, however. It has become increasingly popular for coffee farmers in South America and other parts of Asia to clear-cut forests around coffee plantations to make harvesting easier and increase plant productivity. Researchers suggest that coffee consumers take more time to consider in what conditions their cup of joe was grown. If coffee is labeled Rainforest Alliance Certified or Bird Friendly, it is likely have had less of a negative impact on land use and biodiversity. 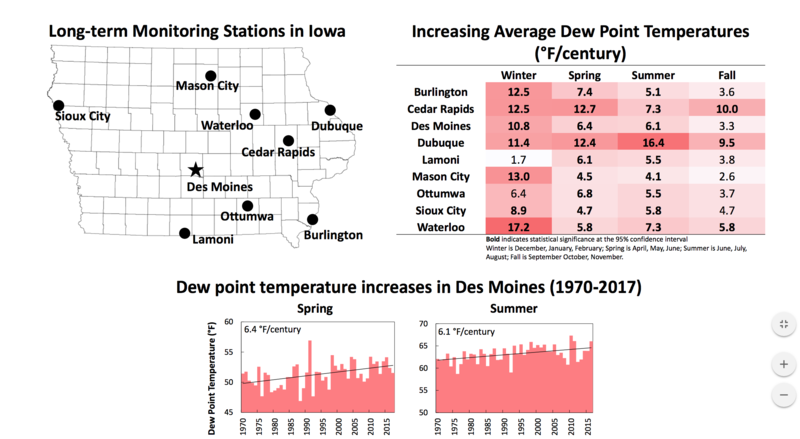 The 2016 Iowa Climate Statement was released on Wednesday with the endorsement of 187 scientists from institutions across the state and local media took notice. A conference call was held on the morning of October 5th to announce the document’s release and to take questions from interested parties. Iowa Climate Statement 2016: The Multiple Benefits of Climate-Smart Agriculture explains why sustainable farming practices such as reduced tillage, buffer zones, and cover crops are necessary and how they can benefit farmers. 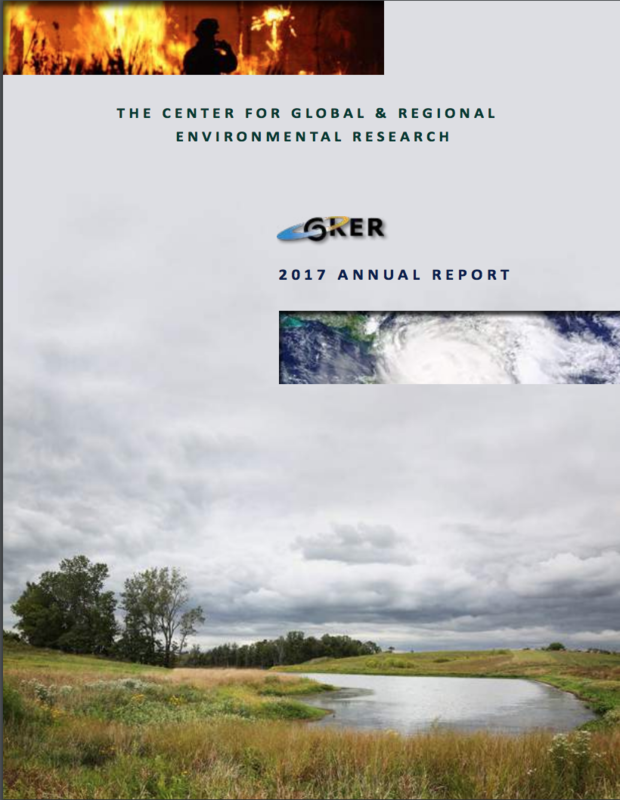 The release marks the sixth annual Iowa Climate Statement, a complete record of previous climate statements can be found here. The Iowa Department of Natural Resources suspects that crop duster farm chemicals are responsible for killing thousands of fish in a southeast Iowa creek late last week. A local resident near Mediapolis discovered the dead fish last Friday, July 29th and notified authorities. When investigators arrived they found a five-to-six mile stretch of the Cedar Fork Creek to be littered with slain freshwater species of all kinds including bass, catfish, crayfish, sunfish and chubs. Short sections of Flint Creek were also affected. DNR quickly ruled out fertilizer or manure spill as potential causes. Ryan Stouder, environmental specialist with the organization says he’s confident that crop duster farm chemicals are the culprit,“The Department of Ag pesticide investigator is pretty confident it is, just off the visual signs of mineral oil in the water.” Investigators are unsure if the contamination was the result of unintentional drift or an emergency aerial dump. Water samples were collected from the scene in order to determine specific chemicals present. If a source can be identified, DNR will take appropriate enforcement measures. The Iowa Department of Agriculture joined DNR in further investigation on August 2nd. Iowa ranks 14th nationally for its commitment to locally-grown food, according to the recently released Locavore Index for 2016. The fifth annual Locavore Index was released last week by Strolling of the Heifers, a Vermont-based, non-profit food advocacy organization. The index weighed several criteria to evaluate each state’s commitment to local foods including number of farmers markets (15 percent), number of community support agriculture (CSA) programs (15 percent), number of farm-to-school programs (15 percent), number of food hubs (5 percent), direct sales per capita (30 percent), and number of Know your Farmer, Know your Food grants (20 percent). The report used data from the U.S. Department of Agriculture, the U.S. Census bureau, and the California-based local food resource directory LocalHarvest. Vermont took the top spot on the 2016 list for the fifth consecutive year. The Hawkeye State fell one spot from its ranking of 13th in the 2015 index and four spots from its 10th place finish in 2014. Iowa’s highest ranking came in 2012 when it finished second. Two University of Iowa researchers used data from the 2015 Locavore Index to study local food in Iowa. Sara Rynes, a professor in the UI’s Tippie College of Business, and Ion Vasi, a CGRER member with joint appointments in the College of Business and the Department of Sociology, released “The Resurgence of the Locavore: The Growth of Local Food Markets in the United States” last year. Their study examined farmers markets and other local food initiatives in Iowa City, Cedar Rapids, and other communities in Iowa and how the concept of a “moral market” can influence a consumers’ behavior. This week’s On the Radio segment looks at two Iowa cattle producers and their efforts to maintain an environmentally-sustainable operation. Listen to the audio below, or continue reading for the transcript. Two southwest Iowa cattle producers were recently honored for their efforts to maintain an environmentally-sustainable operation. Earlier this year, Glenn and Bev Rowe of Lorimor were named regional winners of the National Cattle Association’s Environmental Stewardship Award Program. 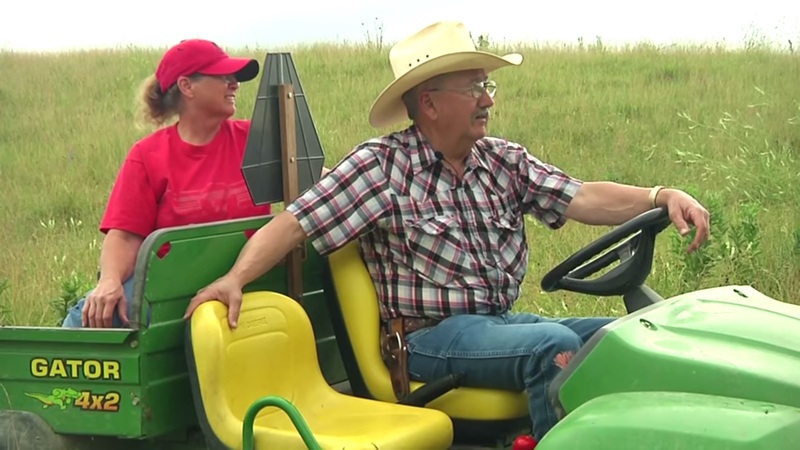 The Rowes were honored because of several sustainability projects they partnered with the U.S. Department of Agriculture for, including rotational grazing, rural pipeline installation, and stream bank stabilization. The couple first started with a small cattle herd in rural Dallas County in 1969 and now manage roughly 1,000 acres in Union County. In addition to cattle grazing land, the farm also includes 250 acres of no-till cropland as well as about 40 acres of wildlife refuge. The Rowes will now compete with the winners from six other regions for a change to take the top spot in the nation which will be announced during the Cattle Industry Annual Convention and Trade Show in San Diego this January. For more information about the Rowes and their award visit iowa-environmental-focus-dot-org. A recently introduced Iowa program aims to help out first-time farmers as well as those managing organic and sustainable operations. 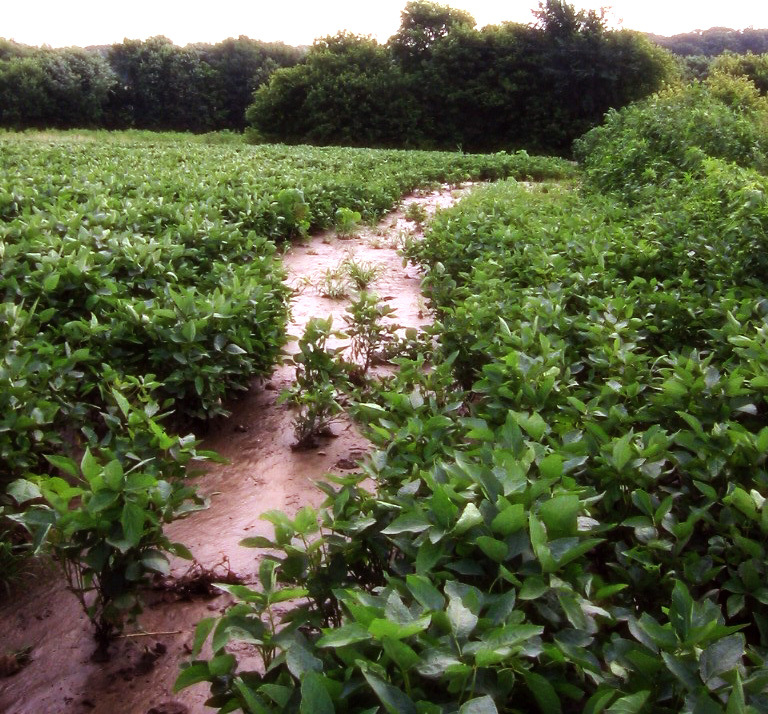 The Sustainable Iowa Land Trust (SILT) is a private nonprofit land trust dedicated to preserving Iowa’s farmland. Lawmakers have supported this bi-partisan effort with its advisory board including Sen. Joe Bolkcom (D-Iowa City) and Rep. Bobby Kaufmann (R-Wilton). The “working group” will consist of public and private stakeholders with 71-year old Corydon-resident Mary Ellen Miller being the first to donate 40 acres of land to the cause. In November the trust got a $20,000 interest-free loan from the Slow Money National Gathering. The trust aims to put more emphasis on locally-grown products as Iowa currently imports 90 percent of its edible food. Additionally, the trust aims to promote sustainable agricultural practices to preserve soil as Iowa ranked second in the nation for amount of soil lost due to erosion in 2010, according to the Farmland Information Center. The trust also aims to assist novice farmers who may struggle acquiring land. “It’s my dream to own an organic, diversified farm. Right now it’s really hard to find land. There’s lots of competition from developers, and some farmers sell land to larger farms. I am hoping I can find something through SILT,” aspiring farmer Kate Mendenhall said in an interview with Iowa Public Radio. The Farmland Information Center also reports that Iowa is one of 28 states that have programs to protect land. Edit: This post originally misstated that SILT was introduced by lawmakers.